No one makes a lock without a key. That’s why God won’t give you problems without solutions. Quote : No one makes a lock without a key. 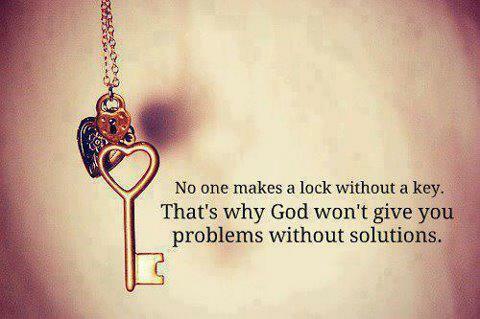 That’s why God won’t give you problems without solutions.